who wish to experience the best wildlife, natural landscapes and culture of Rwanda, the land of a thousand hills. 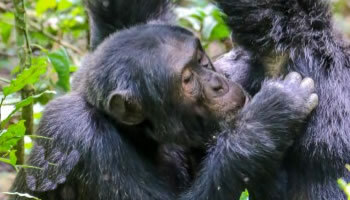 In southwest of the country you will track chimpanzees in Nyungwe forest plus a canopy walk. You also have time to relax at Lake Kivu and then visit volcanoes national park where you will see gorillas and golden monkeys plus a cultural tour of Iby’iwacu cultural village. You will end with a tour of Kigali city. Eat breakfast early morning then head to kinigi visitor center. The expert guides will brief on gorilla rules. 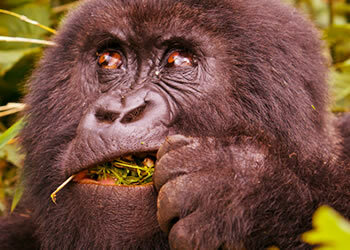 You will hike through the forest look for gorillas and spend 1hour with them. You will return for lunch at the lodge. 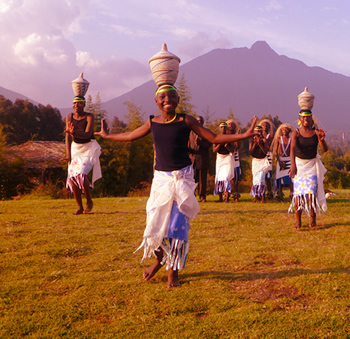 In the afternoon, visit Iby’iwacu cultural village to learn about the traditional culture of Rwanda. Tracking golden monkeys also starts at 07:30am in the morning just like gorilla tracking. 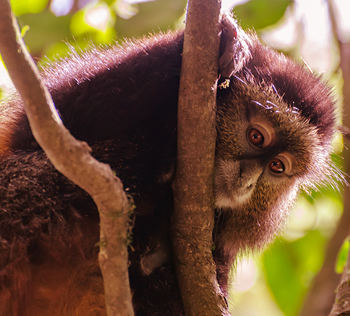 However, the golden monkeys are jumpy creatures and live in bamboo forest over 2000 meters above sea level. So you expect a physical trekking but you will be able to spend 1 hour take pictures of the monkeys and return for lunch. In the afternoon, you two options: you can transfer to Musanze caves, where you can spot many bats or visit the Twin lakes for a canoe experience.